Its my take on the 3PDT Wiring PCB’s that people (including myself) like to use to make FX wiring easier. 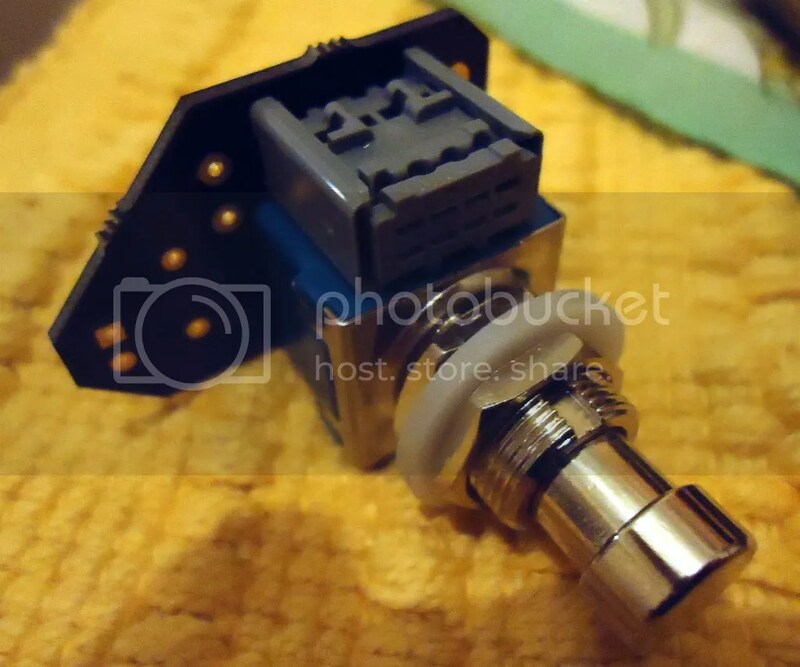 They use a connector assembly to connect Fx In, Fx Out, 9V and GND. They also have the LED mount and CLR integral to them. 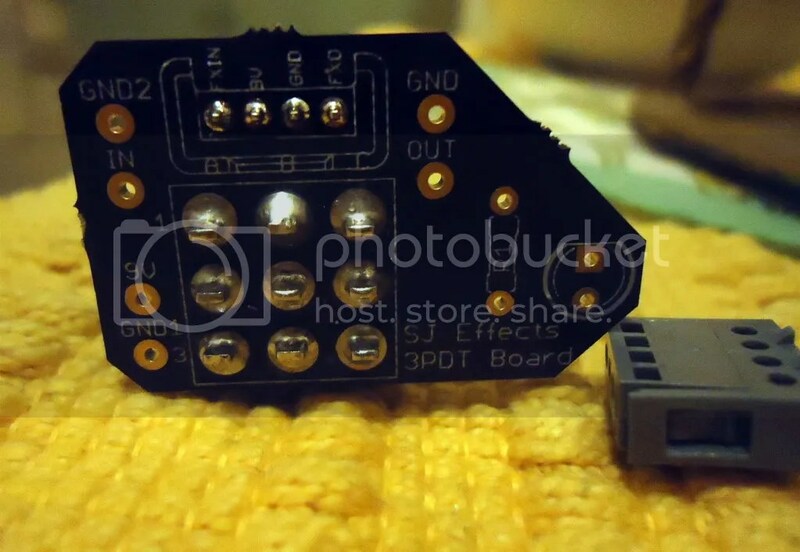 With the connector assembly you can easily dis-connect the FX PCB (by unscrewing the 3PDT footswitch to get access to the connector), for testing, repairs, prototyping etc. No desoldering is necessary. 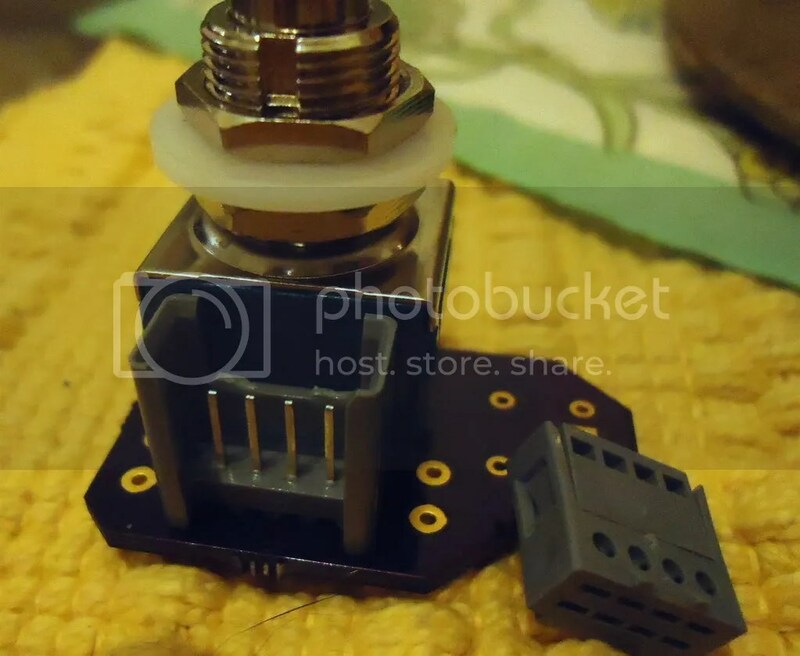 I am considering offering these PCB’s and Connectors to buy so if you are interested please do not hesitate to contact me. This entry was posted in Uncategorized and tagged 3PDT PCB, 3PDT PCB's, 3PDT Wiring Boards by sjeffects. Bookmark the permalink.